When you think of Bordeaux, France you might immediately think of wine. If you do, then you should also seriously consider visiting La Cité du Vin, a wine museum that is far from the “stuffy”, boring museums that you might be used to. It’s literally hands-on, interactive, and fun for adults and children. Oh, did I forget to mention? There’s wine tasting at the end of your visit, too! 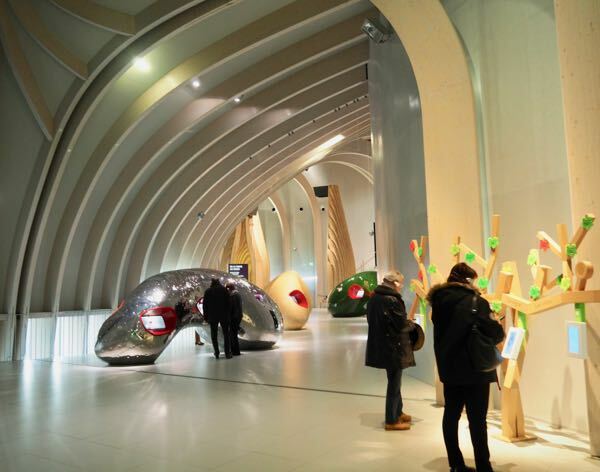 In June, 2016 Bordeaux unveiled this large, curved museum which was designed by architects Anouk Legendre and Nicholas Desmarzières from XTU, Paris. The complex has incorporated inventive, multi-sensory ways to get visitors to learn about wine history, culture, and wine making from around the world. The latest technology and visual effects are used in the displays throughout the 20 themed areas. This permanent exhibit space covers a large area and one is free to explore the museum at one’s own pace. As a result of my January visit, I offer some advice for those who might consider visiting it. It was a bit confusing where to go after the ticket counter. They need better signage and the brochure you are given has incredibly small print and not a lot of detail. Just head up the stairs to the second floor. This is where you will get your interactive audio guide (it’s like an iPod) and headphones. It is available in 8 languages and when you are at an exhibit, you hold your device against it to sync it via bluetooth. The audio will start to talk about the display. There is no set plan to follow. You can wander around to what ever exhibits look interesting. 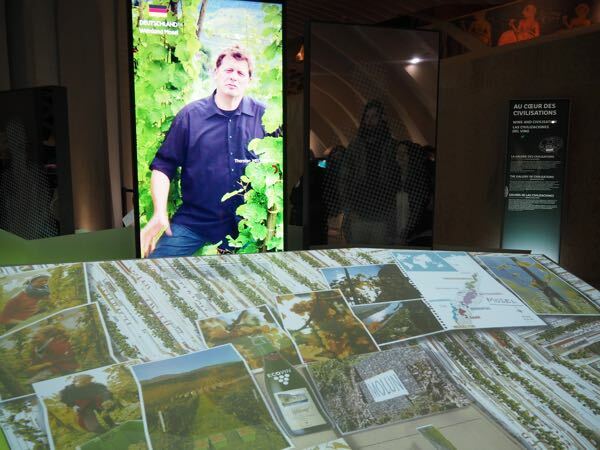 There are large screens which give aerial views of the different wine regions around the world. The cinematography is excellent. I suggest you start here and then wander around. 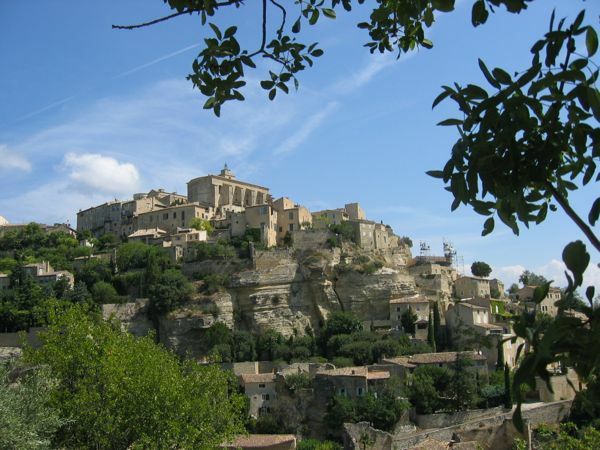 In this area one can watch videos of those involved in wine production from the wine makers to the exporters. You’ll learn about the tradition, soils, and history of wine making. This was perhaps my favourite area because it was hands-on and fascinating. You basically are using your senses (especially smelling) to learn about wine and its characteristics. Children would especially like this interactive exhibit. What a creative endeavour using technology! 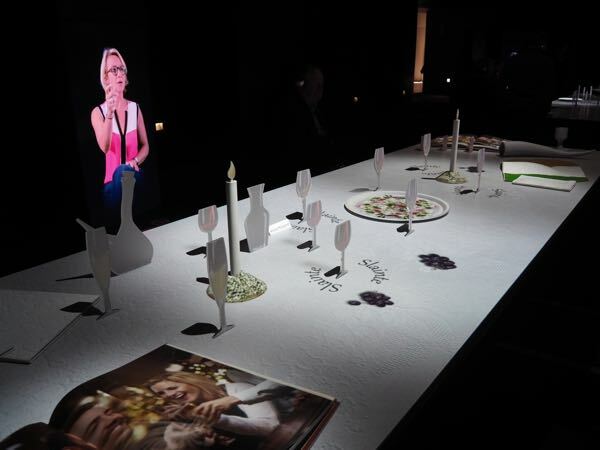 Picture a dining table and one of the guests is a chef discussing the art of French gastronomy. It’s like they’re sitting right across from you! Wine is now a trendy product and this display shows some of the latest trends in wine making and wine culture. 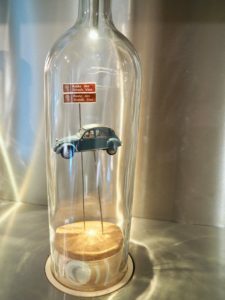 Personally, I loved the little Citroen 2CV (just like my website’s logo) in the bottle. All Aboard is another creatively done audio-visual exhibit where you are a passenger on a merchant ship in the 14th century, 17th century, and 18th century. On the 8th floor, you can choose to taste a glass of wine from one of many regions in the world. I, of course, chose France. Walk around on the perimeter to get a panoramic view of Bordeaux. Take a peek into the wine cellar and boutique on the ground floor. Both have interesting finds. In addition to the Permanent Exhibit, there are also documentaries and temporary exhibits and “Discovery” workshops such as one where you learn about wine tasting. 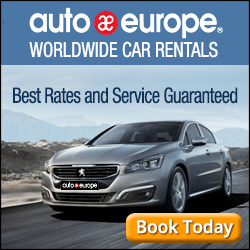 The cost varies from 15-25 Euros. 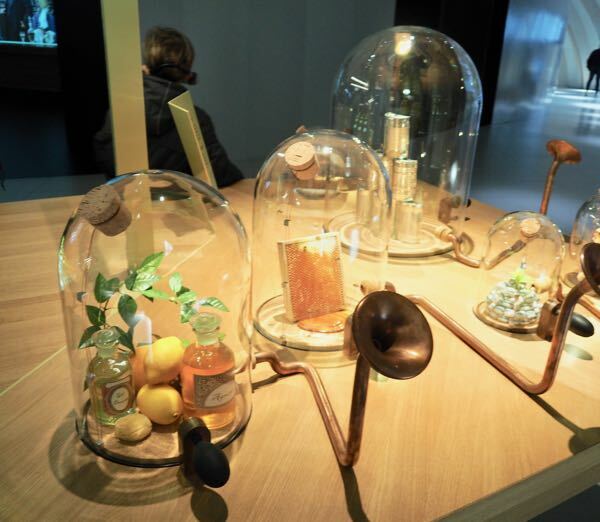 While I have visited and written about a fun wine museum in Paris called Les Caves du Louvre (Wine Experiences For The Senses ) , La Cité du Vin is much bigger and much more interactive. So, if you’re in or near Bordeaux, I highly suggest you make a visit here. It will be worth your while. First Floor: Auditorium, lecture hall, temporary exhibits and a reading room. Second Floor: Permanent Exhibition. This is where you want to go. It has the displays and hands-on activities. Begin by picking up your free interactive audio guide. Eighth Floor: Belvedère-has 360 degree views of Bordeaux and your end-of-tour wine tasting. 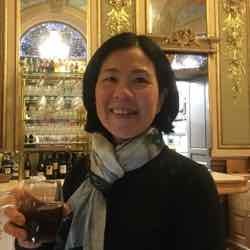 I have not yet been to the Bordeaux region of France, but I do adore the wine! 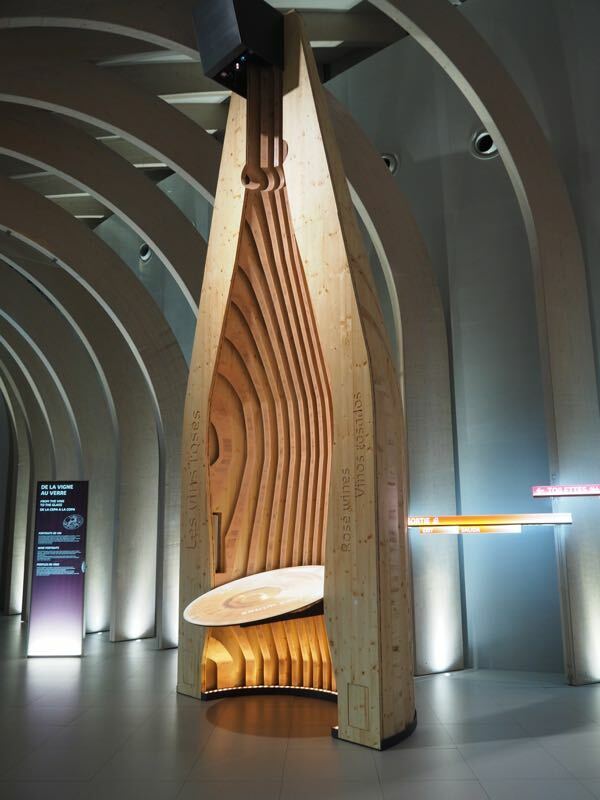 I would love to visit the La Cite du Vin wine museum. It looks amazing! Thx for sharing. You’re quite welcome. I think you’ll really visiting this unique museum. 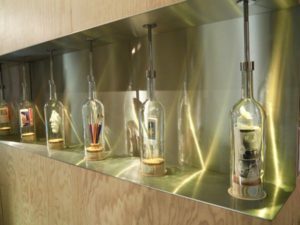 An interactive wine museum? Sign me up! I do think “wine” when I think of Bordeaux and would love a visit to La Cite du Vin. Love the creative exhibits, particularly “The Art of Living”. Very cool. Yes, it is a very creatively-designed place. Definitely worth the visit! One of my favorite firsts when we arrived in Portugal was seeing the many vineyards although we have yet to see a harvest. 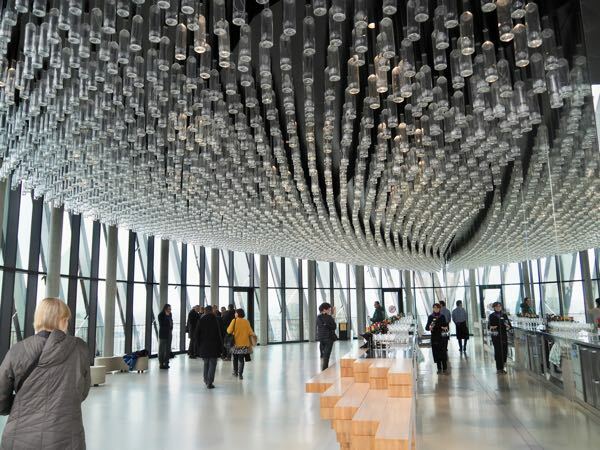 I think a visit to the museum, La Cite du Vin, would be fascinating and especially loved your photo with all the wine bottles suspended from the ceiling. And, not only are you entertained and have an opportunity to learn something, you get to sample some of the libations at the end. Sounds like fun! The Belvedere with all he hanging bottles was certainly a sight to see. Really creative. It was a fun experience attending this museum. 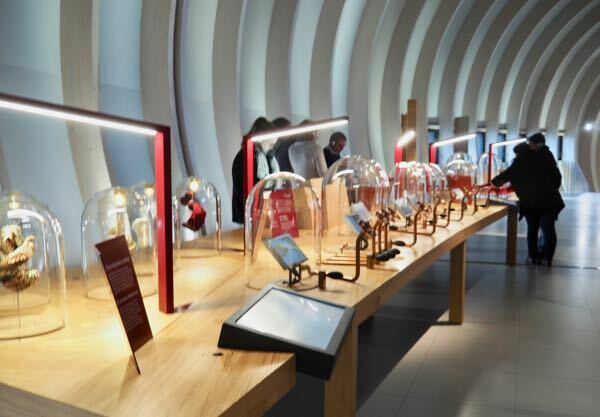 Thanks for publicizing this new wine museum in Bordeaux. 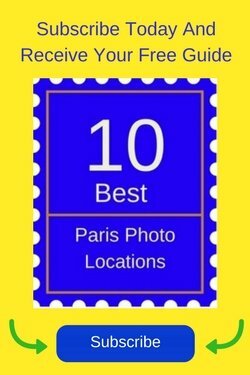 Looking at your photos, I am not sure what to think of the ultra modern look of the place, but we will most certainly try to make time for a visit on our next trip. 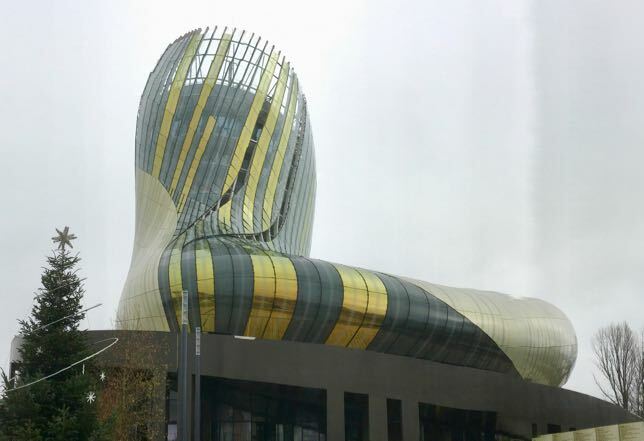 The architecture of La Cite du Vin wine museum looks amazing! 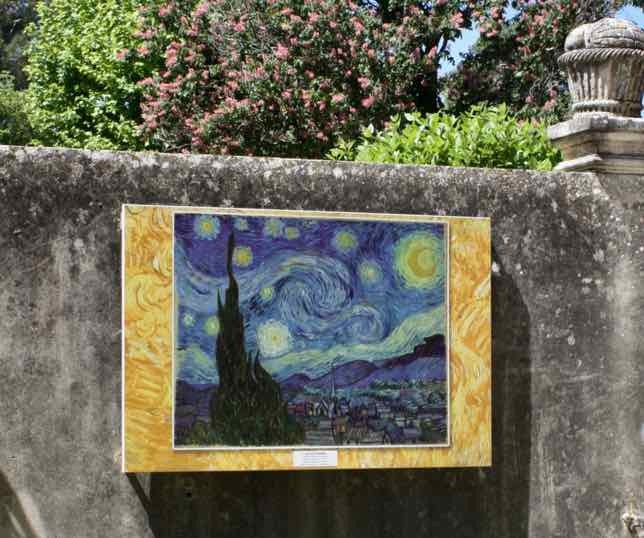 Bordeaux is one spot in France that I seem to keep missing, but when I get there, I’ll definitely have to see this museum! For years I didn’t even consider visiting Bordeaux and now I realize I was missing a lot, not just because of this museum. It’s a beautiful city. What an interesting design! I’d probably be tempted to head to that tasting room and spend all my time there but have to admit the other floors looked mighty interesting as well! I think the Belvedère level is my reward after visiting the extensive exhibits! Can you believe we haven’t been to Bordeaux? This museum is simply chocked full of wonderful design and wonderful ideas to explore. Magnifique! Get over there now! You’ll love it! Lovely shots! I’ve always wanted to see Bordeaux after flying over the town. I guess I just need to wait for the right time. And you’re SO close! If I lived in England I’d be visiting all the time. 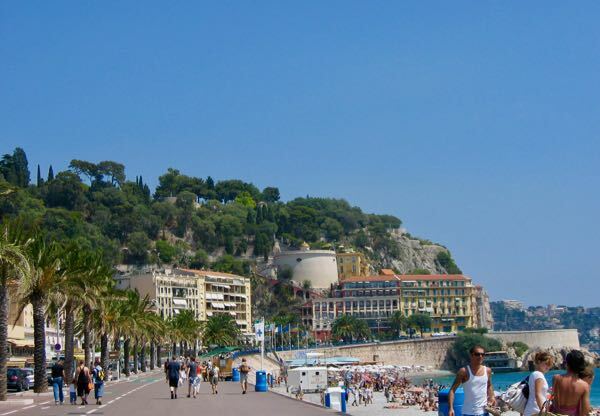 Come to think of it, I’d probably LIVE in France!